Preschoolers will enjoy weekly explorations of Beaver Lake. 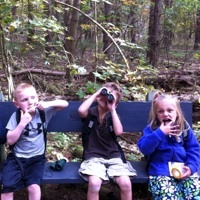 Each week brings a new opportunity for discovery through nature walks, games, and crafts. Children should be accompanied by an adult. Choose either Thursdays OR Fridays.